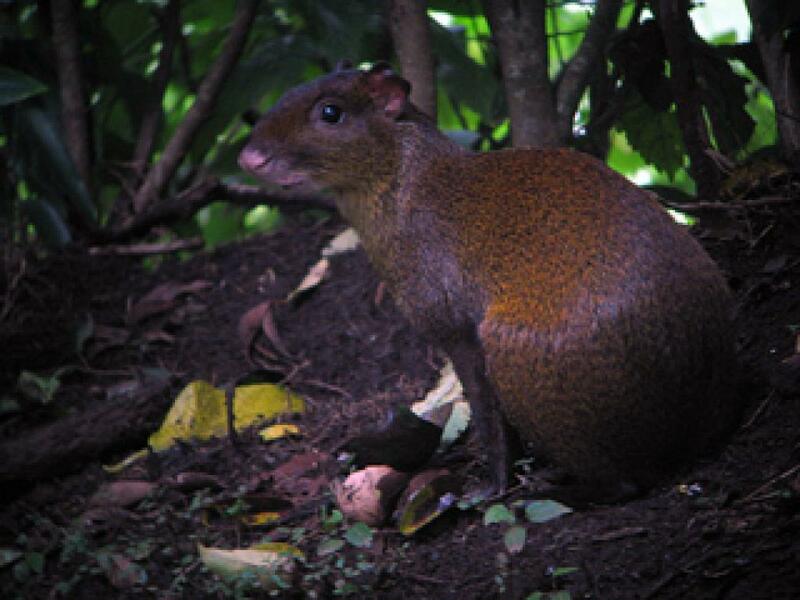 The Willdife Refuge Monteverde (or Refugio Vida Silvestre) is located a short drive away from most hotels in Monteverde. The protected area of 30 hectares was previously part of an agrarian farm. It's location between the Cloud Forests of Monteverde and the dry forests of the pacific means the forests attracts a wide diversity of flora and fauna. As the sun sets the forest comes alive with sounds and tours set out in small intimate groups with a maximum of 8 people Everyone is supplied with a flashlight to help you find your way through the windy forest trails. Make your way over tree roots, stairs, and rocky terrain and use your flashlight to explore and look for insects, mammals and birds. The groups starts out in close proximity to one another as your experienced guides visit their favorite spots where wildlife is regularly spotted. Afterwards, groups will break away from each other and hike deeper into the forest. Guides keep in contact with one another by walkie- talkies to maximize your viewing experience and share special finds like tree snakes and grey fox. 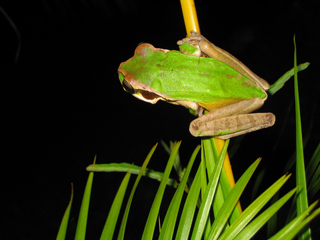 The night tours are a fun way of learning about the nocturnal life of the forests. Depending on the season you may see sleeping birds such as the famous Quetzals, Toucans, Bellbirds and visiting migratory birds. 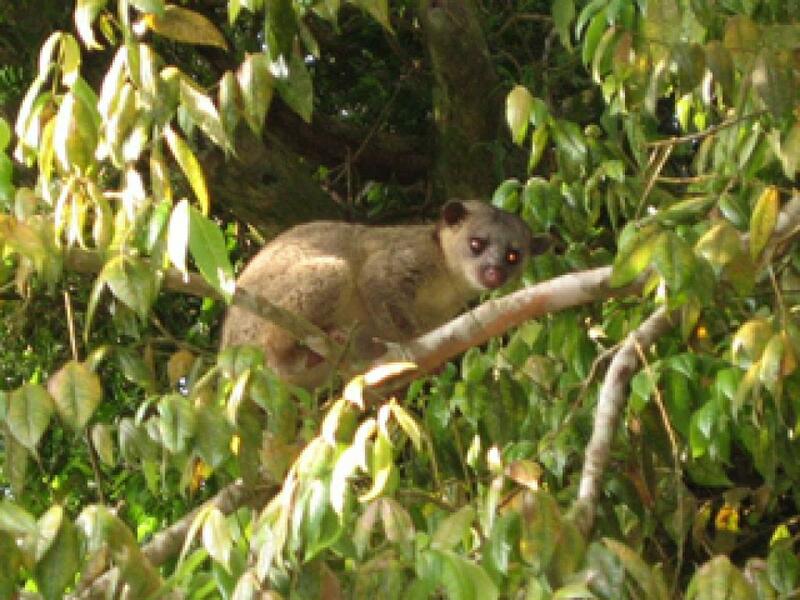 Frequently observed are the cute Kinkajous and other mammals such as Sloths, Olingos and Monkeys. 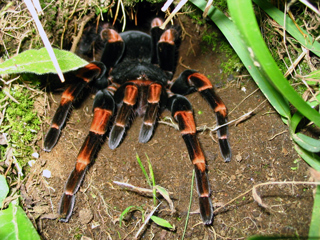 Other night creatures are snakes, tarantulas, frogs and amazing insects. Read a personal experience from a visitor! 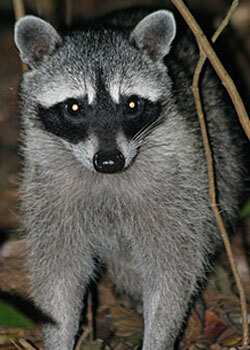 My husband and I took our two daughters on the Wildlife Refuge Night Hike in Monteverde on a dry March evening. My daughters, 6 and 10 years old, were excited to get out and do something new but when we arrived a little before 6:00 pm our 10 year old was already feeling pretty tired, but our 6 year old was happily chasing a cat around the beautifully landscaped entrance to the park. I was a little worried because I wasn´t really sure how this family night out was going to go. As we met our guide and received a flashlight each, I couldn´t help feel excited. My husband and I are both naturalists and enjoy any opportunity to learn something new, plus, how often do you get to be safely led through forest trails at night? The tour broke up into small intimate groups so our tour consisted of just my family of 4 and our guide. As a parent of small children I was a bit relieved we were not walking with other people who may not enjoy the extra chatter and complaints that often accompany little ones. We started off looking for frogs but it was a bit dry and early for a frog encounter, we would return later in the night with better luck. Next, we visited one of the largest and most active leaf cutter ant nests I have ever seen. Tunnels cut under the trails and reemerged on the other side. Streams of ants carrying bright green pieces of leaves marched across the forest floor like a grand parade. I was happy for my flashlight so I could make sure I wasn´t standing in their way. My six year old had been learning about leafcutter ants and took over from the guide. The guide was a good sport about it and even managed to get a few words of his own in and was able to impress both my girls with a some facts they hadn´t learned yet! 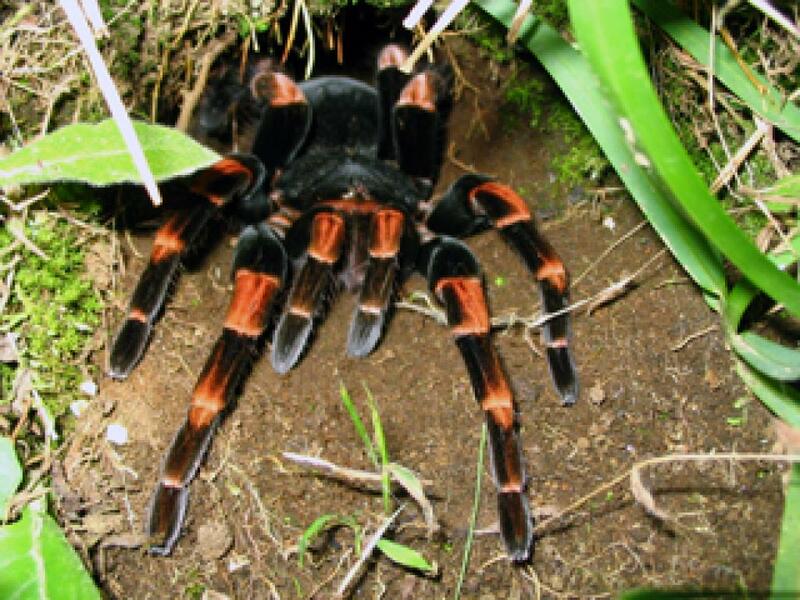 Personally, I was hoping to get a glimpse of a tarantula and I was not disappointed. It peered out of its hole, hairy legs, fangs and all! Although other groups were in the area waiting to see it too, everyone had enough time to get a close look and snap a photo. I was thrilled! As we walked deeper into the forest, we found sleeping birds. As their feathers were puffed out for warmth they looked oddly misshapen. We learned that many birds return to the same perch each night. Later, our guide received word by walkie-talkie that snake was found in a nearby tree and we rushed off to see it. Sliding along a branch in a tree was a snake, its brilliant green body blending in with surrounding leaves. This would be the most memorable part for Sage, my 6 year old! Since my 10 year old, Samara, had mentioned wanting to see a kinkajou our guide took us to an area where he most often found them. I appreciated the effort but had no real expectation to see a mammal of any kind. Up to this point we had been happily looking at crickets, stick bugs, fireflies, beetles, and a click bug (that glow in the dark). So when we heard a branch above us crack and rustle I was truly surprised. I quickly scanned the trees with my flashlight and saw the golden body of the kinkajou running from branch to branch trying to avoid my beam of light. It was incredibly fast and larger that I had thought it would be. We followed it for a while until it disappeared into the dark canopy. This was the highlight for Samara. I have to say this was a really fun trip. Although it was a bit late for my girls, they were surprisingly good sports. It was interesting and different enough that they were able to enjoy themselves even though they were tired. I always enjoy a good walk and found a few strangler figs that were simply breathtaking in size. Being outside in the middle of the forest at night was exhilarating and we all got into using our flashlights to look for creatures of all kinds. The more eyes searching the better your tour will be. The night ended with a chance encounter with a small grey fox. It paced back in forth in a grassy area just inside the entrance to the park, picking though the grass looking for a meal, perhaps a mouse or other small rodent. Overall, my family had a lovely outing together and I would recommend this tour for families who enjoy the outdoors and for those with children who are use to being up late. It will be a late night 6:00pm to 8:00pm. You might have to do some carrying. Be sure your kids have eaten beforehand. There are nice bathrooms and complimentary coffee at the entrance. The hiking is at an easy pace, just communicate with your guide and they can help adjust the pace and distance. 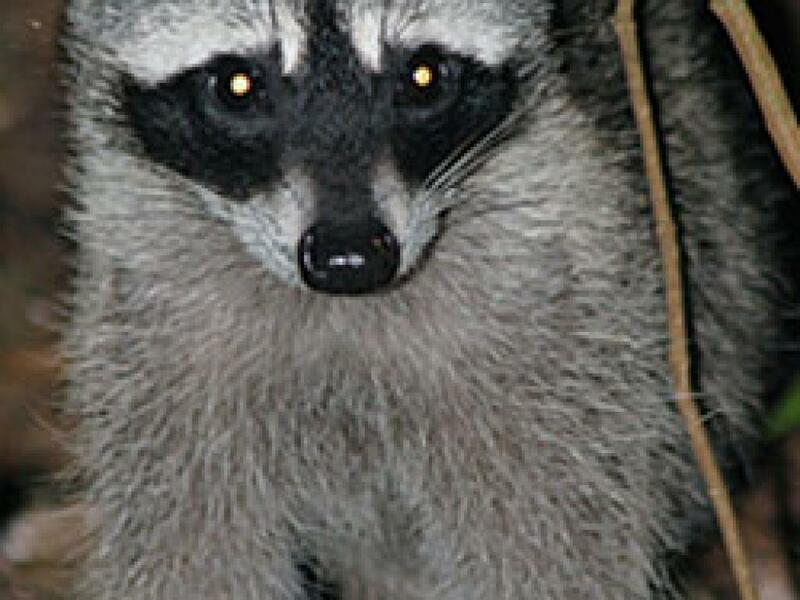 Wildlife encounters are a treat and are not guaranteed!